Product Code: A Great Tongue-In-Cheek Gift For The Sporting Hero In Your Life. 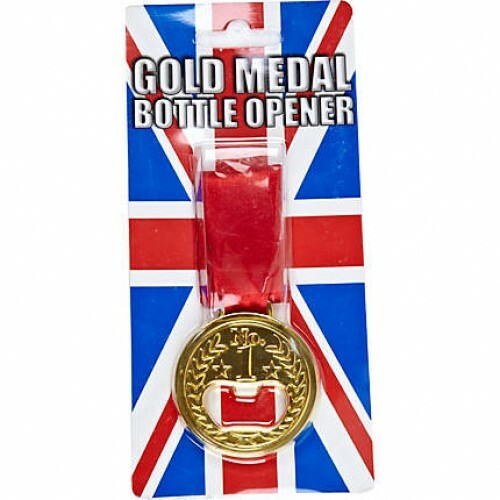 For all armchair athletes this Gold Medal Bottle Opener is the perfect reward for the years of training and dedication you've put into honing your drinking skills. The London 2012 Olympics are rapidly approaching, so what better way to celebrate than with a nice bottle of beer? With the Gold Medal Bottle Opener around your neck and a bottle of your favourite tipple to hand, you can enjoy all the action of your favourite sporting events in comfort. 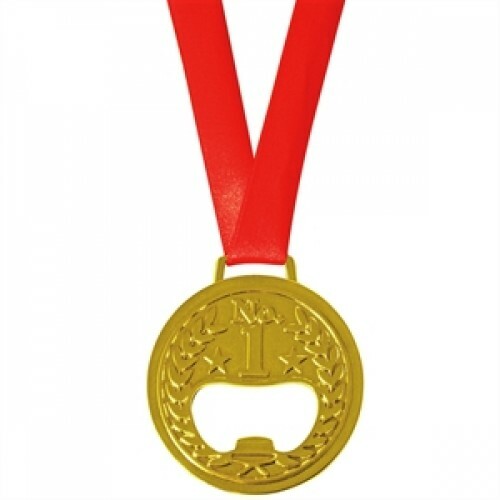 This specially designed Gold Medal incorporates a bottle opener, so you can reward yourself with a nice cold drink.The Gold Medal Bottle Opener is a great tongue-in-cheek gift for the sporting hero in your life.